The Routledge Handbook of Medical Anthropology provides a contemporary overview of the key themes in medical anthropology. In this exciting departure from conventional handbooks, compendia and encyclopedias, the three editors have written the core chapters of the volume, and in so doing, invite the reader to reflect on the ethnographic richness and theoretical contributions of research on the clinic and the field, bioscience and medical research, infectious and non-communicable diseases, biomedicine, complementary and alternative modalities, structural violence and vulnerability, gender and ageing, reproduction and sexuality. As a way of illustrating the themes, a rich variety of case studies are included, presented by over 60 authors from around the world, reflecting the diverse cultural contexts in which people experience health, illness, and healing. Each chapter and its case studies are introduced by a photograph, reflecting medical and visual anthropological responses to inequality and vulnerability. 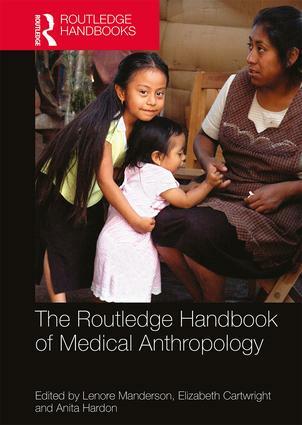 An indispensible reference in this fastest growing area of anthropological study, The Routledge Handbook of Medical Anthropology is a unique and innovative contribution to the field.